This is one of the most violent cars that we have driven in India. The Aventador took Lamborghini performance to a whole different level. The 6.5-litre V12 makes 700PS and 690Nm of torque. Combined with the Haldex 4WD system, the Aventador can hit 100kmph in 2.9 seconds. Top speed? Just 350kmph. No big deal. The most beautiful Ferrari is also the fastest. 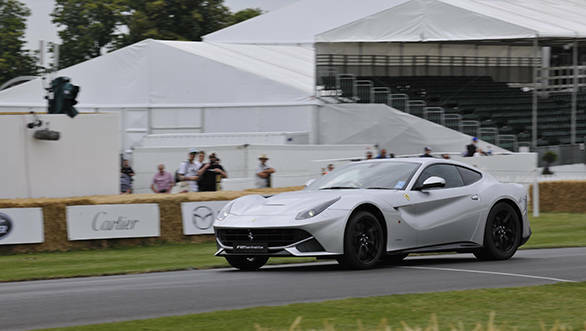 The F12 Berlinetta's 6.3-litre V12 makes 740PS and 690Nm of torque. 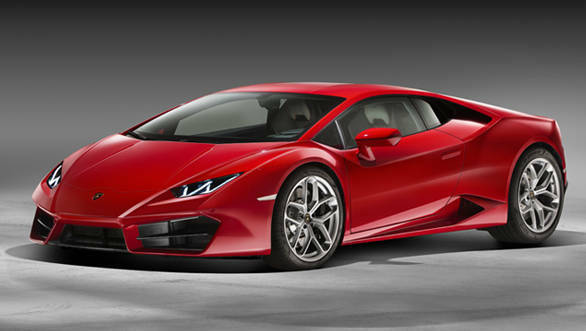 It accelerates to 100kmph in 3.1 seconds and hit a top speed of 340kmph. It also brings Ferrari's F1 traction control into road use. So yea, it's got the show and the go. 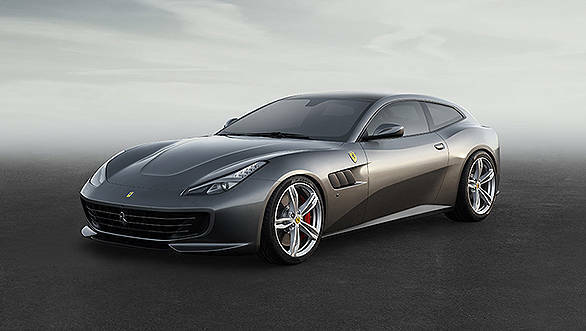 The GTC4 Lusso is Ferrari's replacement for the odd-ball FF. The FF wasn't a purists Ferrari and this holds true for the GTC4 as well. But you really can't argue with that 6.3-litre V12 making 690PS and 697Nm. Especially when it can hit 100kmph in 3.4 seconds and go on to a top speed of 335kmph. We couldn't believe it either. How can a Bentley be the third fastest car in India! But it's true. Bentley has stuffed all the performance it could into this Continental and it's worked wonders. 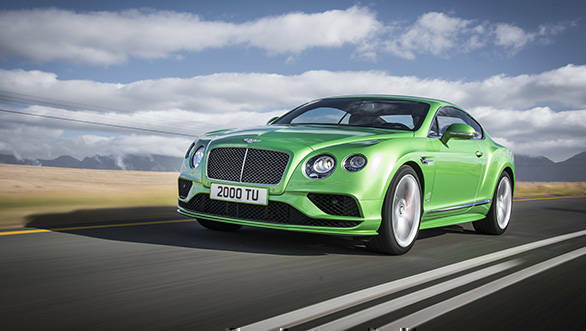 The Continental GT Speed can hit the 100kmph mark in 4.2 seconds and go on to a top speed of 331kmph thanks to its 6-litre W12 that makes 642PS. All this while weighing over two tonnes. 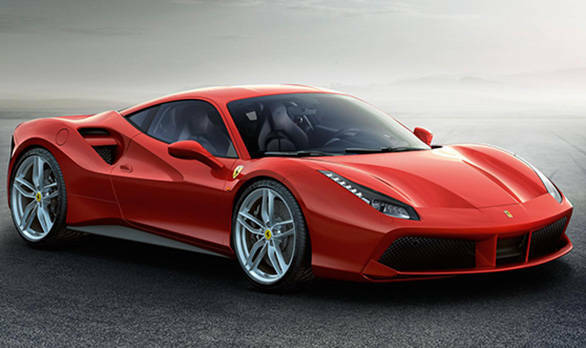 If you were a fan of the 458, then you'll love the 488. It is everything that the 458 was and so much more. The 4-litre turbo-V8 makes 670PS and 760Nm of torque. Agreed, it is no naturally aspirated V12. But who can argue with you when you're doing 330kmph? The 911 Turbo S matches the 488 GTB in performance. The 3.8-litre flat six makes 580PS and 750Nm of torque with overboost. It does the 0-100kmph run in under 3 seconds and can hit a top speed of 330kmph. Oh, and if you were wondering, this is the same Porsche that features rear wheel steering. The baby Lambo had to be on this list. It is a Lamborghini after all. The only V10 in this list makes 610PS and 560Nm from its 5,204cc. It can hit 100kmph in 3.2 seconds and reach a top speed of 325kmph. Not bad for a baby, no? 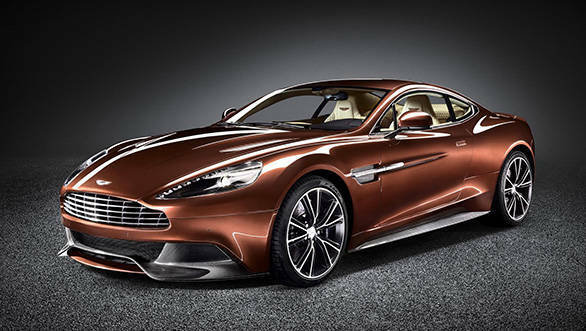 The Vanquish is the fastest Aston Martin on sale today. 568PS and 630Nm of torque comes from the AM29 V12. It can hit 100kmph in 3.6 seconds and can go up to 323kmph if you've got the globes for it. Plus, if you drive one, that's the closest you'll be to becoming James Bond. 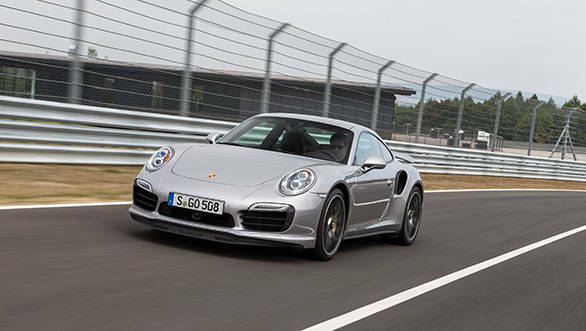 Drop the S and the 911 Turbo is the second fastest Porsche on sale. 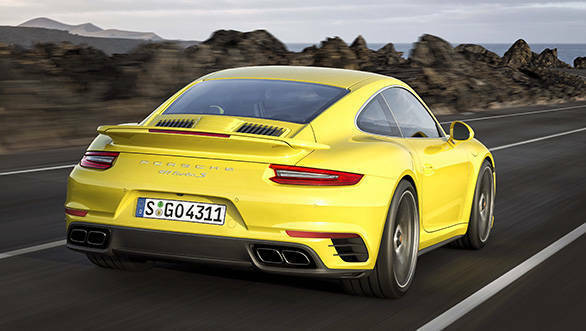 In Turbo guise, the 3.8-litre flat six makes 540PS and 710Nm of torque with overboost. This one too features rear axle steering for more maneuverability. And the lack of an S only sheds 10kmph, so we're not all that upset. Bringing up the rear is the Godzilla. Japan's most popular supercar is well known for being one of the most fiercely accelerating cars in the world. It uses a 3.8-litre, twin-turbo V6 to deliver 545PS and 463Nm of torque. 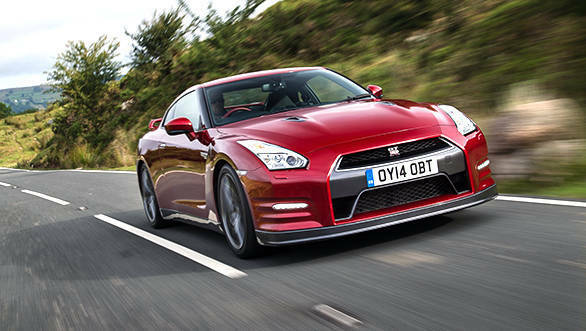 The advanced 4WD system helps the GT-R accelerate to 100kmph in a mere 3.2 seconds despite its obvious torque disadvantage. Top speed? Just 315kmph. Tsk tsk!